Claudia Cardinale and Maurizio Scaparro at the festival "Les Italiens a Paris". Claudia Cardinale at the Marrakesh International Film Festival. Claudia Cardinale at the Festival Palace in Cannes for film "Chacun Son Cinema". Claudia Cardinale at the 4th Marrakesh International Film Festival. Claudia Cardinale at the 54th annual Berlin International Film Festival. 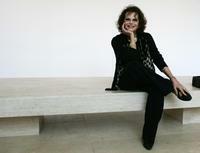 Claudia Cardinale at the Giorgio Armani Prive Spring/Summer 2008 Haute Couture Collection Show. Claudia Cardinale and Sophia Loren with designer Giorgio Armani at the Giorgio Armani Prive Spring/Summer 2008 Haute Couture Collection Show. 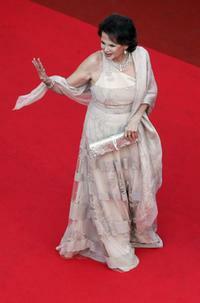 Claudia Cardinale at the third Marrakech Film Festival. Claudia Cardinale at the 4th International Film Festival. Claudia Cardinale at the 54th annual Berlinale International Film Festival. Claudia Cardinale at the premiere of "Normal" at the 29th American Film Festival. Claudia Cardinale at the Med Film festival.